If you think you know tarot, think again. Before the well-known Rider-Waite deck, there was Le Tarot de Marseille. Before there was complex cartomancy, a single card was pulled and considered by the reader on their own behalf. 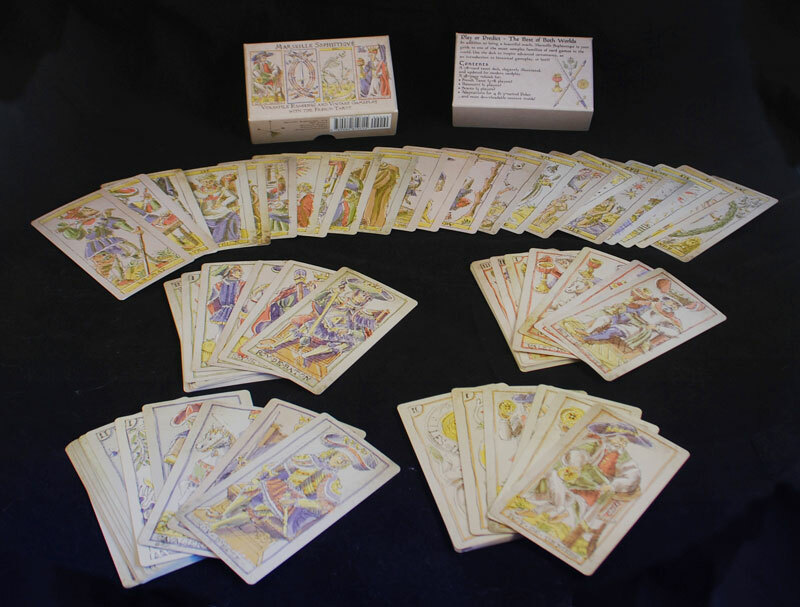 And before card-based divination, in 15th Century Europe, tarot cards were used to play a variety of games that endure to this day. That’s where TPC Games comes in. We found the Marseille tarot while doing research for one of our graphic novels, and were immediately intrigued. Not only is it an amazing oracle, it offers a glimpse at history and into modern cultures around the world through its connection to gameplay. 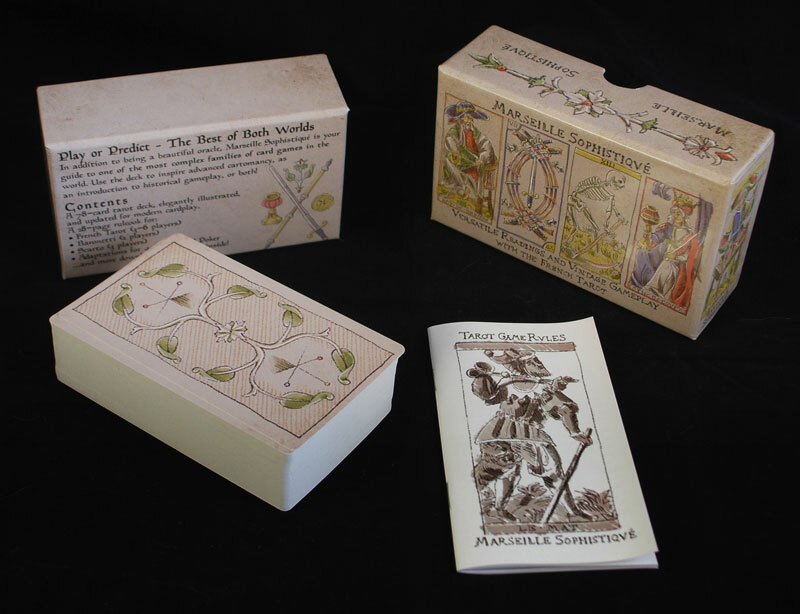 The original French tarot decks were developed primarily for playing a card game of the same name, and evolved alongside gaming decks across Europe, not all of which have vanished from modern use. This means that, either by using the full 78 cards or by modifying the deck, Marseille Sophistiqué can be used to play dozens of unique, historic games from all across the globe—not to mention modern ones. We’ve updated our cards to increase legibility, improving player experience, while preserving the classic elegance of the Conver designs. Marseille Sophistiqué has a serious side, too. Whether you’re cutting the deck to reflect on a personal decision or reading an elaborate spread for someone else, the stylish illustrations offer a beautiful and inspiring oracle. Unlike the familiar, heavily-standardized symbols of the Rider-Waite tarot, the vintage designs we’ve drawn from encourage more varied, intimate readings, making it one of the most advanced and versatile cartomancy decks. Click to download traditional Tarot game rules, including variants not found in the Marseille Sophistiqué booklet.